Woah! This new Starbuzz is delicious, it has a very desert like smell out of the can but delivers a creamy spiced taste. Initially we though it was cookie dough but the Chai begins to come through as the session warms up. You can easily mix this with a mint flavor but if you want just add a splash from any of your favorite flavors to create something unique. 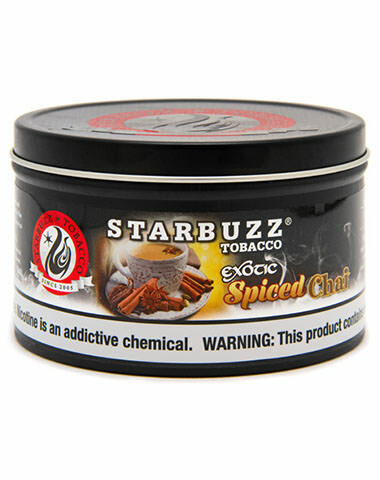 Spiced Chai Starbuzz Bold Shisha has a average rating of 0 stars out of 5 stars based on 0 reviews.